Much better! 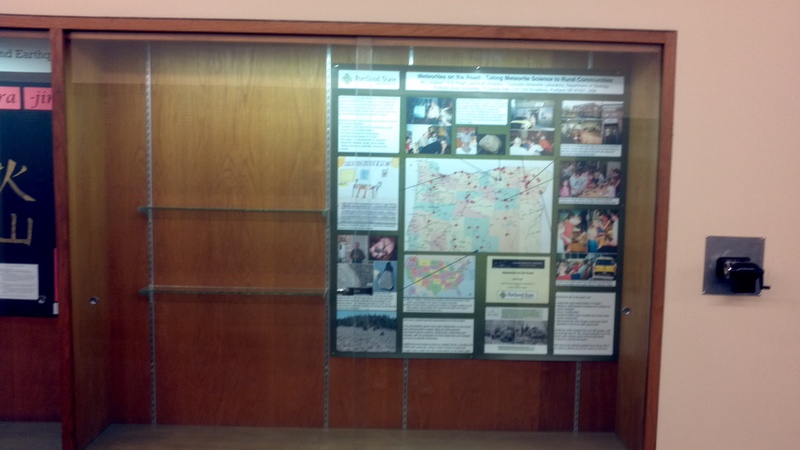 We'll have a more visible presence in the geology department now. I’m rather proud of it. The poster on the upper left part of the case was put together by Alex and I. 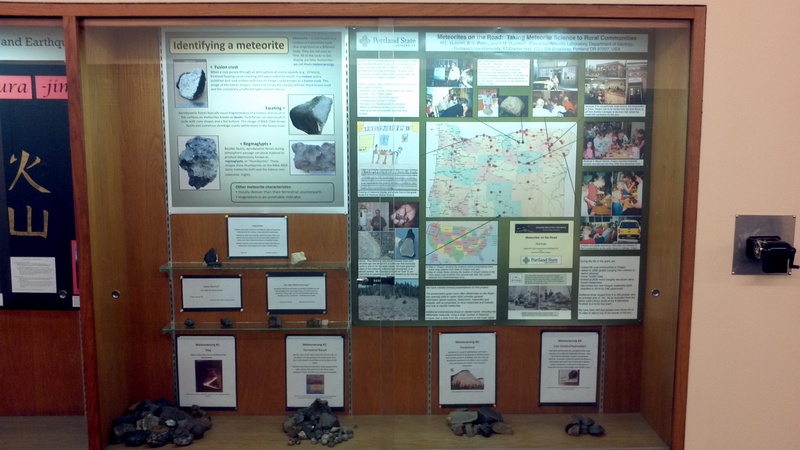 The shelf right below the poster has a couple of tektites and a shatter cone (subjects of a future meteorite monday). The next shelf down contains a piece of weathered basalt and weathered limestone that were mistaken for meteorites until they were cut open. 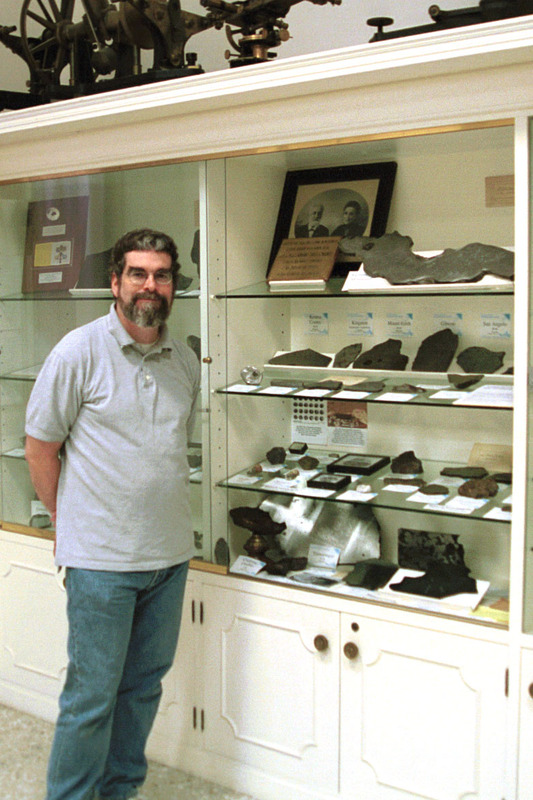 The very bottom shelf contains the larger “meteorwrongs” the lab has received over the years. Starting on the bottom and going from left to right, we have slag, terrestrial basalts, sandstones and then iron oxides/hydroxides. It was a fun project, but I’m happy to have it out of the way. I can now get back to my studies and continue research on my current meteorite. A late-night addendum: There are a lot of meteorwrongs in this case and I didn’t even put all of our faux-meteor samples on display. This is quite fitting since it accurately portrays the hard realities of meteorite hunting: they’re not easy to find, and if you think you found one, you’re probably wrong. Sorry, but that’s how it goes.